Astronomers discover a planetary impact outside our own Solar System — In a study published in the latest issue of Science, astronomers led by graduate student Huan Meng, of the University of Arizona in Tucson, announced the discovery of remains of a mammoth planetary collision. ~ Space likes safe drivers too. 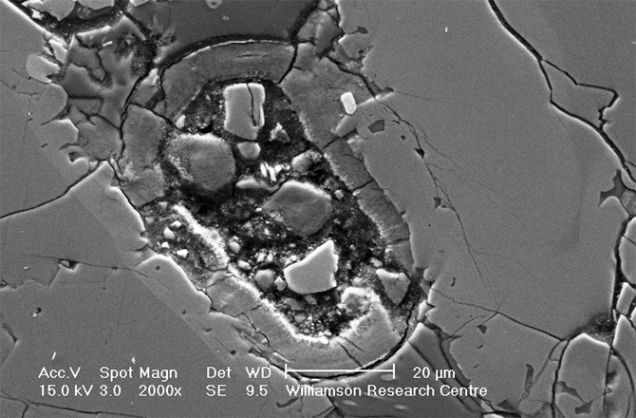 Weird microscopic structure found In martian meteorite — Scientists have found a strange structure resembling a microbial cell inside a Martian meteorite, but they’re not claiming that it’s evidence of Red Planet life (pictured above). ~ Interplanetary coincidence is all? NASA sets a 2018 launch date for the rocket that will take us to mars — Three years after its unveiling, NASA managers have approved the development of the rocket that will carry astronauts into deep space. Called the Space Launch System (SLS), the heavy-lift rocket will be the most powerful ever built, and is designed to launch the next generation of space explorers to deep-space worlds well beyond Earth’s moon. ~ I’ve told you before, I’m not going! NASA will reformat Mars rover from 200 million kilometres away — NASA’s Opportunity rover is still trundling across the surface of Mars, more than 11 years after its 90-day mission began. But its software is getting bogged down, so NASA’s doing a full system backup, memory wipe and reboot. It’s just like your routine computer clean-up, just from the next planet over. ~ I can see your device from here. Microsoft defies court order, will not give emails to US government — Despite a federal court order directing Microsoft to turn overseas-held email data to federal authorities, the software giant said Friday it will continue to withhold that information as it waits for the case to wind through the appeals process. The judge has now ordered both Microsoft and federal prosecutors to advise her how to proceed by next Friday, September 5. ~ Every now and again Microsoft does good things. Ebola’s initial outbreak pinpointed — One of the big mysteries in the Ebola outbreak in West Africa is where the virus came from in the first place — and whether it’s changed in any significant ways. … Researchers have revealed they have sequenced the genomes of Ebola from 78 patients in Sierra Leone who contracted the disease in May and June. Those sequences revealed some 300 mutations specific to this outbreak. Among their findings, the researchers discovered the current viral strains come from a related strain that left Central Africa within the past ten years. Using genetic sequences from current and previous outbreaks, the researchers mapped out a family tree that puts a common ancestor of the recent West African outbreak some place in Central Africa roughly around 2004. ~ Awesome work. The world salutes you. Peak meat — We may be about to hit ‘peak meat’? Globally, meat production has skyrocketed since the ’60s. But though our appetite for meat shows no signs of slowing, our ability to devote huge swaths of land, water, and feed to its production may be hitting its limits. ~ Don’t look at me, I haven’t touched the stuff in 25 years. Bioshock, one of the best shooters of all time, hits iOS — The lines are blurring between AAA console and mobile game development. It’s not happening in great volume just yet. Now there’s Bioshock for iOS. It’s NZ$18.99. 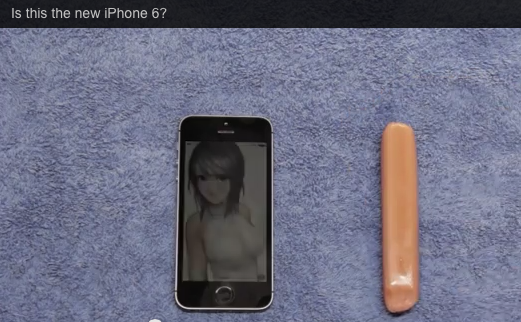 Why old iPhones become sluggish over time — Batteries do wear out over time. Apple rates iPhone batteries at 400 full charge cycles before they lose 20 percent of their original capacity. So if you fully discharge and recharge your phone every day, in a little over a year it will only be capable of providing 80 percent of its power, and in a couple years it will probably be down to 50 percent capacity. Apple wins patent for Steve Jobs-designed Fifth Ave glass cube — The iconic Fifth Avenue Apple Store glass cube, which was designed in part by legendary company co-founder Steve Jobs, is now a patented ornamental building design sanctioned by the US Patent and Trademark Office. Civilization: Beyond Earth for Mac has been postponed indefinitely — A source working on the Mac version of Civilization: Beyond Earth for a comment on this story. While they cannot give a hard release date yet they want readers to know that “coming soon” really does mean coming soon. 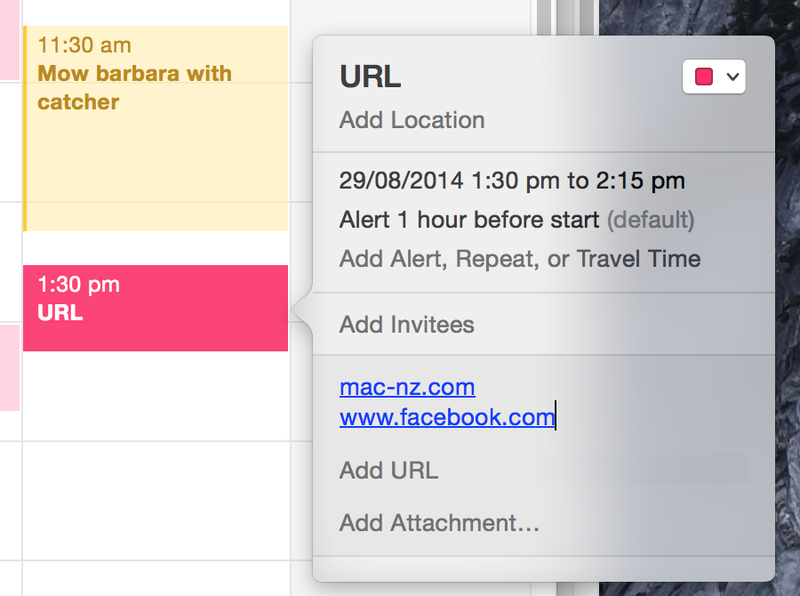 The Mac version won’t be available in October, but expect it to follow close behind. Twitter opens analytics tools to all users — If you’re curious how many people read your Twitter posts, what type of people follow you, and what they’re interested in, all of that information is now at your fingertips. This week Twitter opened its analytics tools to all of its users for free, and there’s plenty of data to sift through. You can check out your own stats at Twitter’s analytics site, and unlike other companies that make you pay to detailed information like this, Twitter is offering it for free. A nostalgic look at the Macintosh Portable, Apple’s first laptop — Apple’s first laptop and the first consumer laptop to travel into space, was released in 1989. Groundbreaking in its day, the laptop was still a bulky travel companion (main picture), roughly the size of the phone book at four inches at its thickest point. iPad — Open the link below, tap the area along the top (which I coloured blue in the PDF) and you get the option ‘Open in iBooks’ if you’d like to add it to your iBooks library. Tim Cook calls slumping iPad sales a ‘speed bump’ — Though Apple’s earnings results last quarter were exceptional, tech observers couldn’t help but notice that iPad sales only came in at 13.3 million units, a 9.2% decrease from the same quarter a year ago. What’s more, iPad sales during the March quarter were also down year over year, by about 19% to be exact. Tim Cook, though, remains thoroughly optimistic about the iPad and its future prospects. Minnesota plans to roll out 40,000 iPads for students — Apple’s deal with the LA Unified School District may have fallen through due to a variety of factors, but Minnesota’s St Paul School District remains committed to deploying 40,000 iPads to students as soon as possible. The district will supply Apple’s tablets to 37 schools by January 2015, which will conclude the first phase of the rollout. The remaining schools will be targeted for iPads in the following school year, until all 61 locations are equipped. Hyperlapse by Instagram creates time lapse magic — Instagram has unleashed yet another amazing tool for capturing your world in photos and video. LaCie unveils 48TB Thunderbolt 2 drive — French external drive maker LaCie showed off its new rack-mount Thunderbolt 2 drive in a 48 terabyte configuration. LaCie says the 8big Rack is the fastest Thunderbolt 2 drive available, boasting transfer speeds up to 1330 megabytes per second. It comes equipped with eight six-terabyte Seagate hard drives spinning at 7200 rotations per minute that the company promises will deliver better throughput and simpler setup than competing fibre channel products. The drive is available now from LaCie for US$4,999.99 in the 48-terabyte configuration or US$2,799.99 and US$1,699.99 for 24-terabyte and 12-terabyte models, respectively. Dropbox Pro changes increase storage to 1TB at the same price — Dropbox users with a Dropbox Pro account paid US$99.99 a year for a rather paltry 100 GB of storage. That sounds like a lot until you begin using Dropbox to back up all of your RAW photo files, videos, and every selfie you’ve ever snapped from your iPhone. Well, worry no further – if you’re a Dropbox Pro user, you’ll soon find that your storage has magically increased tenfold – it’s now a full terabyte. Parallels Desktop 10 for Mac represents more mobile efficiency, more ease of use — Parallels Desktop 10 for the Mac is now shipping. Parallels D10 has added some excellent features that make the new version compelling and the upgrade price worthwhile. Los Angeles drops iPads for schools — Meanwhile, life goes on. In what must be a shock for Apple, Los Angeles Superintendent John Deasy has suspended future use of a contract with Apple. This happened Monday 25th August. The deal was to provide iPads to all students in the the United States’ second-largest school system but scrutiny of the US$1-billion-plus effort had been mounting. The contract had been approved just over a year ago. The terms meant Apple was expected to provide iPads with Pearson as the subcontractor. School board members were made to understand that the initial US$30-million contract was expected to expand to about US$500 million as the project rolled out over the following year. An additional US$500 million would be used to expand internet access and other infrastructure issues at schools. The two main reasons Apple is now not in the pipeline is a deemed unsuitability of iPads in this environment (new electronic state tests were hard to read on iPad screens due to their size), but much more disturbingly, Deasy’s process looked, to critics, as if it had been skewed to favour Apple from the start. I’ll follow this with interest. 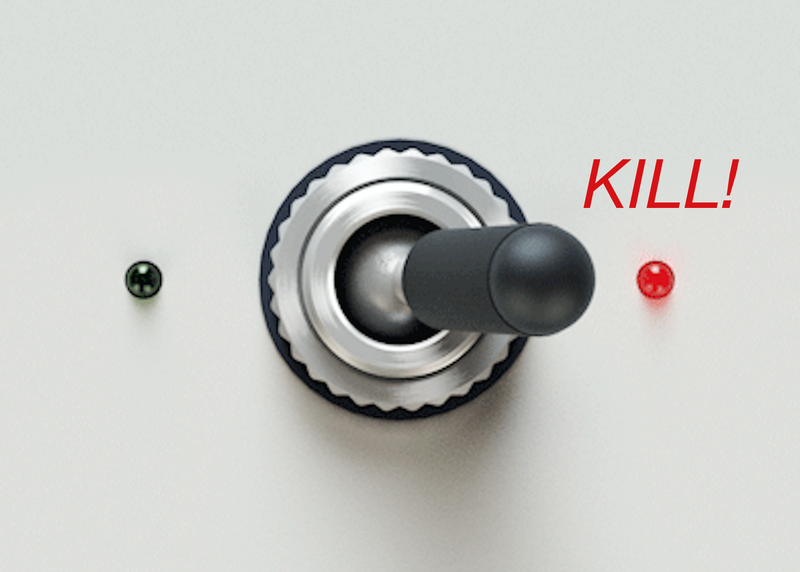 Californian kill switches — Meanwhile, California has passed a law mandating smartphone kill switches. That means that smartphones sold in California will soon be required to have a kill switch that lets users remotely lock them and wipe them of data in the event they are lost or stolen. The demand is the result of a new law, signed into effect on Monday, that applies to all smartphones manufactured after July 1, 2015 sold in the state. The inefficiency of producing phones solely for California means the kill switch is expected to be adopted by phone makers on handsets sold across the US – and around the world. Apple had, of course, already responded to this request by adding a feature called Activation Lock into its iOS 7 operating system. This already meets all requirements of California’s kill switch law except one: it doesn’t come enabled in new phones out of the box. That’s all that will have to change. iOS 7 dominates iDevice users — With iOS 8 on the horizon, 91% of Apple users made the switch to iOS 7. This is very impressive, especially when you compare it to the Android world: there are currently five different versions of Android each holding 10% or higher shares of that market. That means Google’s Android is more fragmented than ever, with three different versions of the platform representing two-thirds of all devices. This makes it hard for developers – which system to develop and test for? And it’s hard for consumers: which apps work on your particular system? So on the one hand, Android users get the ‘freedom’ to play around with all these different system, while on the other, us iOS users are ‘trapped’ into a system most of us are using, which has a rock-solid testing and deployment process. I’m biased, of course, but it’s pretty obvious to me which one is preferable. Windows 8 was no dragon slayer for Microsoft — Apple followers have been chortling over the almost constant reports for other tech analysts that Apple has messed up, about to die, missed the boat etc. Of course, all these things might be true, at least one day, but the style of reporting certainly shows a strong pattern. Some put Apple down by championing competitors in the strongest of terms as, finally, real ‘Apple beaters’. Deliver? The same site’s Brad Reed now writes “Why did Windows 8 fail? … We know from well-connected Microsoft reporters and even directly from Microsoft employees that Microsoft knows it stumbled badly with Windows 8. Indeed, the Windows 8 brand has become so toxic that the company’s employees have reportedly dubbed it ‘the new Vista’.” Ouch. HealthKit attracts medicos … and insurers — Meanwhile, it looks more and more like anything like a so-far imaginary Apple ‘iWatch’ will have a lot to do with medical and other sensory devices. And that’s the real impetus behind Apple’s June launch of HealthKit, which adds APIs and other services to a range of medical sensor makers and their related apps. Do you really want to monitor many aspects of your own body? I don’t – but I might one day. It certainly suits those trying to improve their fitness, but even more so, those with medical conditions … because conceivably this data could be shared with medical practitioners. They could get alerts when your heart rate of blood pressure go up, for example. They’ll call and say ‘Stop watching the rugby!’ Hah. Anyway, insurers seem to be getting into the concept too – these implications are discussed in a Mac Observer podcast. China’s new OS — Finally, you may have heard that China has been deleting Apple devices from government agencies. Since Chinese tech companies haven’t developed their own operating systems that can compete with OS X, iOS, Windows, or Android, billions of dollars flow out of China, and Chinese security services feel like it exposes the country to espionage from the US National Security Agency (NSA). So China is trying to develop it’s own OS based on Linux, which is ironic in itself. This is also discussed on the Mac Observer. At the end of the day, I do recall that the Apple world remains an interesting hotbed of news, information and rumours. Los Angeles doesn’t want $500 million worth of iPads now — A US$1 billion plan to give every student in the Los Angeles Unified School District an iPad, while beefing up the district’s internet capabilities and other infrastructure, is now dead, according to the LA Times. The deal would have started with a US$30 million purchase of tablets from Apple, which would have grown to roughly $500 million worth of iPads as the program expanded. The reason for the change is twofold: First, the district decided iPads weren’t ideal for purpose, and second, and most damning, was a disclosure by LA Unified’s Superintendent John Deasy that revealed an uncomfortably close relationship between Deasy, his staff, and the companies that would have benefited the most from the deal – Apple. 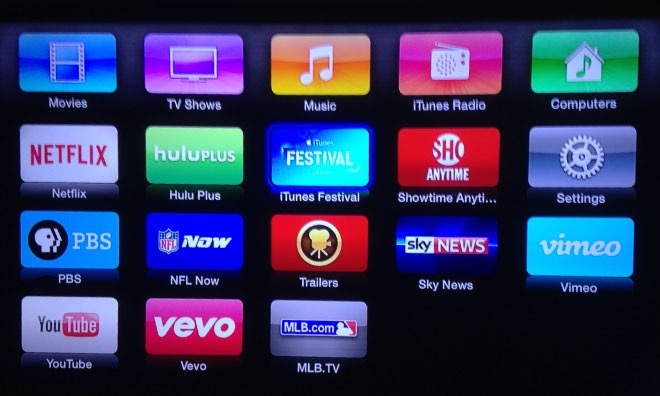 Apple adds Showtime Anytime, iTunes Festival channels to Apple TV — Apple has added two new channel options to its set-top streamer, bringing on-demand Showtime Anytime from the cable network as well as a dedicated channel for the upcoming iTunes Festival in London. The band deadmau5 will open the Festival, and Mary J Blige, Tony Bennett and others have been added to the bill. The top iOS 8 features for business users — You can always tell when the tech world is waiting for an important Apple announcement – loads of lists appear. 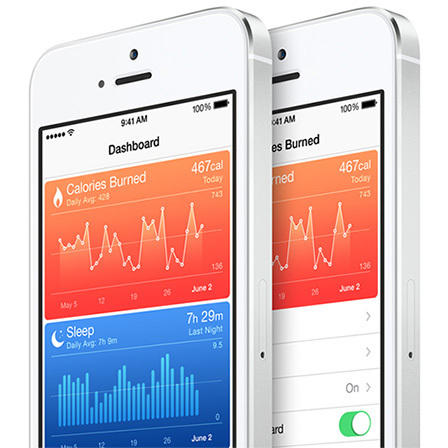 Apple’s iOS 8 is set to bring several new features, including its HealthKit and HomeKit platforms, to the iPhone and iPad. Many of the advances are consumer-oriented and focused on creating a seamless experience across iOS devices and Macs running the forthcoming OS X Yosemite. How not to use rice to save your iPhone — Rice can indeed dry out your iDevice if it ends up taking an unexpected tumble into a pool, pond, or – tech gods forbid – toilet. That being said, this is not the way to do it. Leave your device off for as long as possible, and certainly until you’re confident there is no more moisture left inside the device. Researchers: iPhones, iPads connected to Windows PCs are at risk — Attackers could compromise iPads and iPhones on a large scale through the infected computers that make up botnets, researchers say. Google bolsters iOS productivity suite with Slides, updates to Docs and Sheets — Google has released presentation app Slides alongside updates to existing iOS apps Docs and Sheets, offering a free Web-connected alternative to similar productivity suites from Microsoft and Apple. Teach organic gardening to kids — Get those green thumbs ready with Gro Garden (NZ$3.79, universal), an educational app that helps budding explorers discover organic gardening in a creative and competitive way. Did you ever trick your kids into eating their veggies by sneaking the ingredients into some yummy home-baked cookies and brownies? Best educational apps for primary schoolers — It’s that time of the year again when parents, teachers and students start thinking about heading back to school. If you have an iOS device, you can supplement your child’s education and stimulate them to get involved with quality educational iOS apps. Here are some of the best titles for children in the middle school-aged group. Can’t wait for OS X Yosemite? 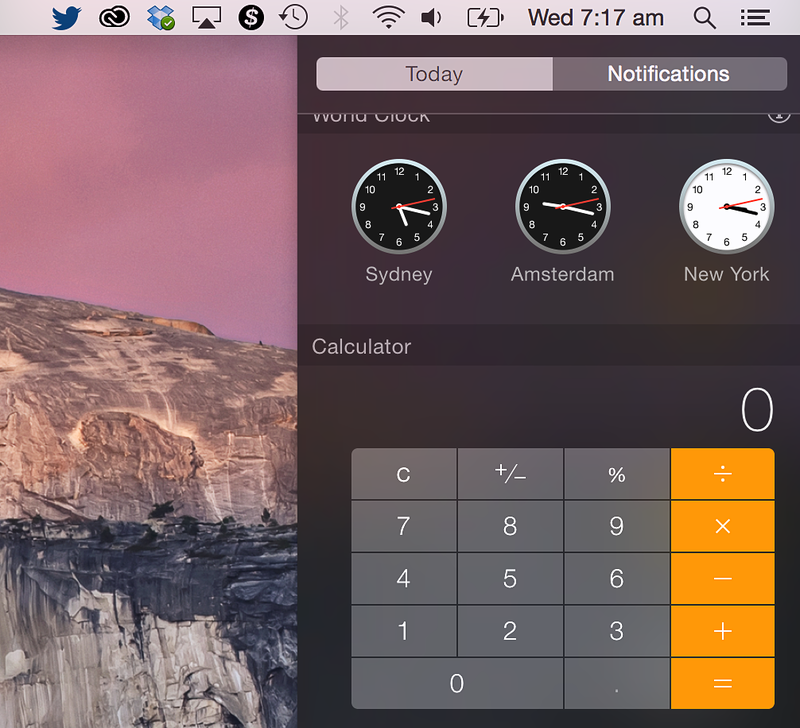 Disable Mavericks’ Dashboard — OS X Yosemite is coming soon, and it moves the widgets from the Dashboard, which will be no more, to the Notification Centre (pictured left). But if you can’t wait to get rid of it in Mavericks, here’s how to do it. Interview With Horace Dediu: What To Expect When Apple’s Expecting — Forbes’ Eric Jackson asked Dediu to answer a few questions about what he’s expecting from the new product announcements and more questions about Apple’s current strategic trajectory. FilePane review: Expand the power of drag-and-drop on Macs — FilePane can be a true timesaver thanks to its quick access to various helpful actions via a handy and inventive drag-and-drop approach. It’s an app that works not only with files on your desktop or within Finder windows, but also images and text on websites and in documents. It’s NZ$6.49. The 10 apps every college student needs to have — You can make the transition to university a lot smoother with some useful digital tools. The apps below will help you with everything from saving money to finding food to getting to class on time. Writing Wizard makes writing appear like magic — Practicing letter forms can be quite a chore, but Writing Wizard makes it a magical experience anywhere. At NZ3.79 on the App Store, this universal app is a terrific value for your iPhone and/or iPad while children are kept engaged in the task of tracing using various methods of coaching and incentives. Another rumour says Apple is working on 16nm FinFET A9 chips, what’s ‘Phosphorous‘. See how the Napa earthquake affected Jawbone users’ sleep — If you’re one of the many iPhone users with a Jawbone UP strapped to your wrist, you might be used to seeing pretty standard peaks and valleys on your sleep charts. Not so for many in Northern California who were awoken by the rumblings of one of the largest earthquakes to hit the area in several decades – and the consolidated sleep data (main picture) is actually pretty cool to look at. How to view desktop versions of websites on an iPhone — Macworld tells you how. Star Walk 2 mostly improves on the original — Star Walk 2 (NZ$3.79 with in-app purchases) is a solid update from the original award winning Star Walk astronomy program. This new version has a re-designed interface with the look and feel of each element beautifully crafted and drawing you into the inner workings of the app. 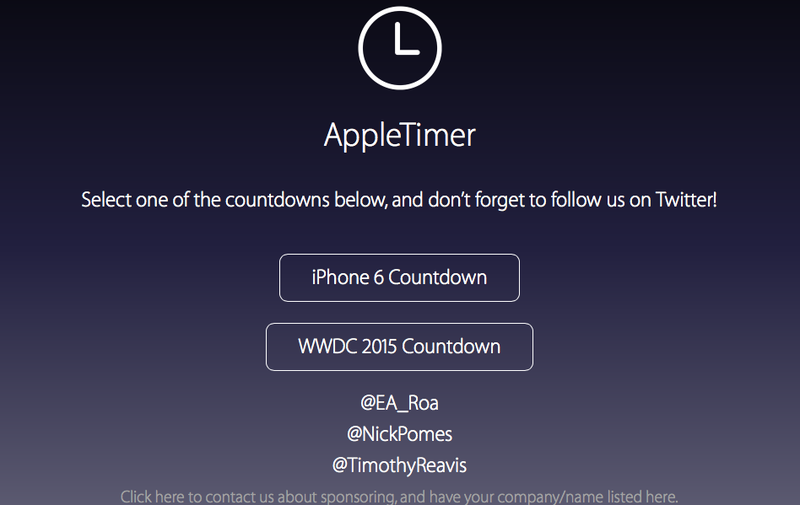 Apple Timer helps you count the minutes until the next Apple event — Apple Timer is a new project born out of the success of last year’s WWDCTimer. 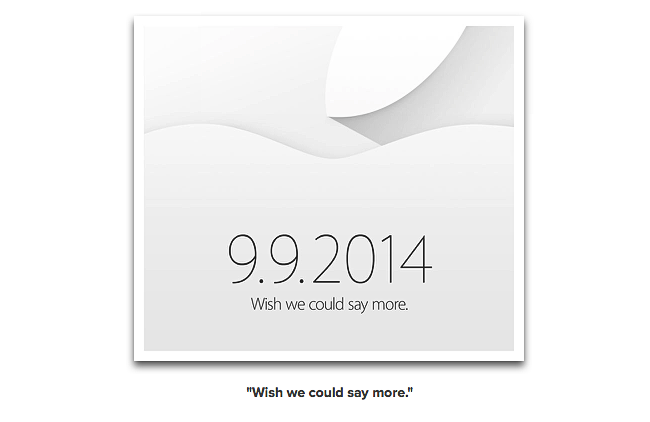 The website provides a simple countdown clock for each upcoming Apple event, down to the second. Currently the site lists the September 9 iPhone event and next year’s WWDC, but more events will be added as they become available. Judge refuses to invalidate Apple patents — In the continuing legal tangle between Samsung and Apple, a federal judge has denied Samsung’s request to invalidate a pair of patents related to the iPhone’s slide-to-unlock feature and unified search, Mac Observer reports. Both patents are part of Apple’s infringement cases against Samsung, which have thus far swung firmly in Apple’s favor, to the tune of over US$1 billion across both rulings. Flash Professional CC 2014 review: Minor tweaks a boon to developers — With Flash Professional CC 2014 Adobe is slowly pushing Flash as a universal vector animation tool for Web designers. No longer limited to Shockwave Flash (swf), Flash can export to other formats such as WebGL, SVG, and HTML5. This is great for long-time Flash developers who need this flexibility, but Flash Professional CC 2014 also includes new features that allow designers to enhance their creative potential. Periscope Pro review: Keep an eye on your domicile with this Mac surveillance app — Maybe you’re going out of town for a while; maybe you live in a rough neighbourhood; maybe you just wonder what your pets are up to all day. No matter the reason, the NZ$64.99 Periscope Pro from ZipZapMac can help you keep an eye on your domicile. Periscope Pro regularly takes video from your Mac’s camera, a connected webcam or a third party IP-enabled camera which can be anywhere. What triggers the recording is up to you. Apple activates iPhone 5 battery replacement program, to swap out affected parts for free — Apple on Friday announced a free replacement program for iPhone 5 batteries after discovering certain units sold during a five-month period after the product’s launch in 2012 contain faulty components. Apple Adds Humana, UnitedHealth to HealthKit Discussions — Apple is continuing to expand its circle of potential HealthKit partners with dialogs now happening with both Humana and UnitedHealth Group. Both companies are big-name health insurance providers, and the talks could mean Apple is hoping HealthKit will be part of the incentive programs carriers offer for subscribers who actively work to stay healthy. Two free iOS writing and note apps — Vern Seward found his default writing app on iPad, WriteRoom, is no longer supported on that platform. So he went looking for other writing apps to fill that void. Vine adds new editing tools and imported camera roll videos to iOS app — Vine for iOS has just received a massive new update the finally gives the video app equal footing with its rival Instagram. For the first time on Vine you can now create posts using video clips from your device’s camera roll, and then edit them to make your clip into the short film of your dreams. Fudget uncomplicates money management — Fudget, currently free in the App Store and available for both the iPhone and the iPad running iOS 7.0 or later, is built for simplicity. This isn’t an app that’s loaded with features. It’s streamlined and focused on taking the complications out of managing your money. While 91% of Apple users run iOS 7, five different versions of Android hold 10%+ share — The latest mobile operating system statistics show that Google’s Android is more fragmented than ever, with three different versions of the platform representing two-thirds of all devices, while Apple’s latest version of iOS runs on 91% of iPhones and iPads. Max Gentlemen — The game Max Gentlemen has charted an odd, winding path to the App Store. Its creation was prompted by the subject line of a spam email before the game’s makers even had a proper studio formed, then took the form of a dating sim of sorts (that was put on hold), and was later turned into a hat-stacking game for a drinking-themed game jam, which led the game to be hosted in an arcade cabinet in a busy Chicago bar. It’s free and Universal.